Salman Khan starrer Race 3 has got the fans excited with the magnanimous nature of the movie. The film is filled with extra action sequences and more plot twist. As the franchise gives us its third installment, the makers have made some major changes. The film has been handed over to Remo D’Souza from Abbas-Mustan and the whole star cast is new. Now, another surprise for all the bhai ke fans is his Dabangg co-star Sonakshi Sinha. Yes, Bollywood’s asli Sona is very much a part of this flick but in a special performance. As reported in Midday, Sonakshi will be seen doing a party number in the thriller. This party track will also star Saqib Saleem. However, there is no romantic connection between the two. We have seen Sona grooving on dance numbers before as well, and again being a part of such magnum film will be a treat to her fans. We still don’t know whether Chulbul Pandey and his Rajjo will share the screen space or not. The film was majorly shot in in Emirates Palace, Yas Viceroy Abu Dhabi, the St. Regis Abu Dhabi, Abu Dhabi National Exhibition Centre (ADNEC), Emirates Steel and Liwa Desert in Abu Dhabi. 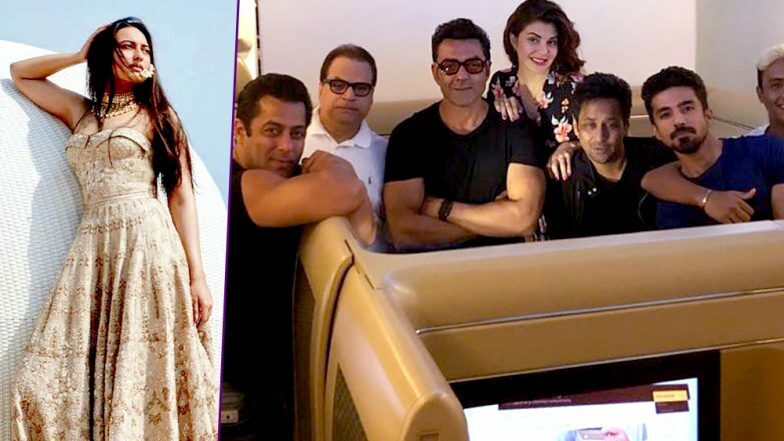 Maryam Eid Al Mheiri, CEO of Media Zone Authority — Abu Dhabi and twofour54 was quoted saying, "We are delighted to welcome Salman Khan back to Abu Dhabi for Race 3, the fifth major Indian movie to shoot in our city. His return is testament to the confidence of Bollywood studios in twofour54’s proven capabilities in delivering large, complex productions successfully." The action flick also stars Jacqueline Fernandez, Bobby Deol, Daisy Shah, Anil Kapoor and Saqib Saleem in the major roles.